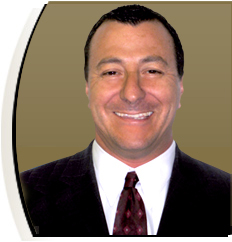 Greg Ciaccio comes to Seven One Seven Parking Enterprises in 2010 after an extremely successful career in the hospitality industry encompassing over 20+ years. Starting from the ground up, Greg is no stranger to hard work as he started his career in 1988 as a room service waiter at the Fountain Bleau Hilton Hotel in Miami Beach Florida and, most recently, as a General Manager for a local Tampa Hotel Management company. From the beginning, Greg’s hard work, operational expertise, and commitment to excellence was always recognized and played a major role in his ability to lead his teams in achieving excellence and exceeding guests expectations in every aspect of his career along the way. Greg and his family are no strangers to the Parking Management business, as they owned and managed JC Parking Corporation from 1945 to 1979 in New York City, and his dad, John Ciaccio, was one of the original members of the Metropolitan Parking Association. Reporting directly to John Accardi, Mr. Ciaccio oversees and coordinates the day-to-day operations of Seven One Seven Parking Services and Hospital Parking Management. He enforces the operational policies, objectives and initiatives on a national level and is responsible for strategic planning and execution to enhance profitability, productivity and efficiency throughout the company’s operations. Additionally, Mr. Ciaccio collaborated on the development and implementation of HPM-IT, an intensive training program that focuses on customer service and client satisfaction.